In general, it is often possible to glean a newspaper’s narrative or ideology from its titles, but this example was particularly stark. Check it out. My translation is going to be a bit choppy, because I want to keep the word order- which is extremely relevant- as similar to the Hebrew as possible. News stories should be read as Op Eds. Thought you’d find it interesting to know that the English Haaretz alert was different yet again – “Palestinian shot dead by Israeli soldier near West Bank village”. The Palestinian is the focus of this one, not the Brigade Commander. Anyway you dice it, we have a dead human being. I don’t disagree with the premise of your argument- Just that these 2 particular narratives are fairly similar given the context. It is not uncommon that people in Israel are killed by stones being thrown at their cars. I personally knew one. The Israeli government doesn’t publicize it bc of the legalities involved in compensating terror victims. Most people in Israel carry guns. On the off chance that you are able to respond to a group of ppl throwing rocks at your vehicle (often from above with no ability to run for cover), you are taught to shoot to defend yourself. Rocks kill. 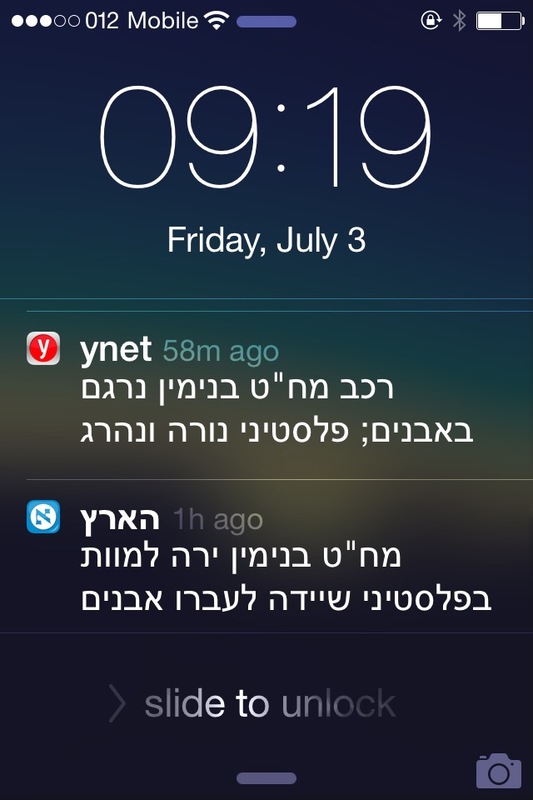 Both headlines accurately reported the death of the Palestinian as a result of rock throwing at an Israeli. Perhaps Haaretz was more explicit in who actually shot the Palestinian, but I don’t believe that this changes the idea.